In this article, I will describe how you can monitor multiple systems with munin. 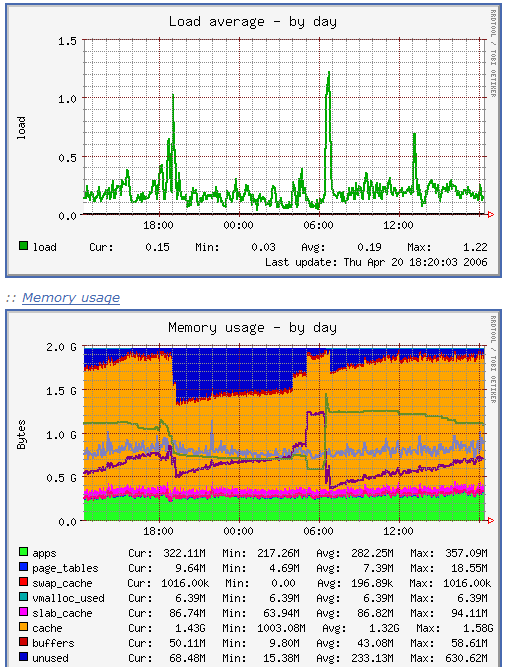 munin produces nifty little graphics about nearly every aspect of your server (load average, memory usage, CPU usage, MySQL throughput, eth0 traffic, etc.) without much configuration. I will install the munin client on all systems that are to be monitored (including the munin server itself); the munin clients will then report to the munin server. This tutorial was written for Debian Etch, but the configuration should apply to other distributions with little changes as well. Our munin server's hostname is server1.example.com (IP address: 192.168.0.100), and we have a web site www.example.com on it with the document root /var/www/www.example.com/web on it. I'm using one munin client here, server2.example.com (IP address: 192.168.0.101). Of course, you can add as many client systems as you like. Now it is a good idea to password-protect the directory /var/www/www.example.com/web/monitoring unless you want everybody to be able to see every little statistic about your server. 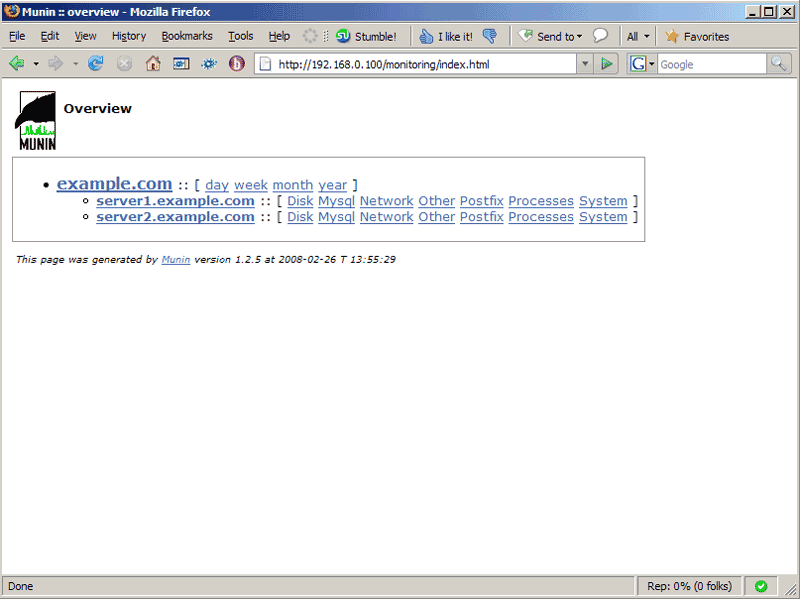 When you click on that link, you will see the graphs for server2.example.com. I do the installation an it's was great. But two months later, I have to change munin master to another server. The second code excert in step three is missing /web/monitoring/ otherwise the whole website will be password protected. But i can´t get data from multiple servers, what i made wrong?